Featuring voice recognition, the new remote is smaller than Dish's earlier remotes, and has backlighting and a touchpad. 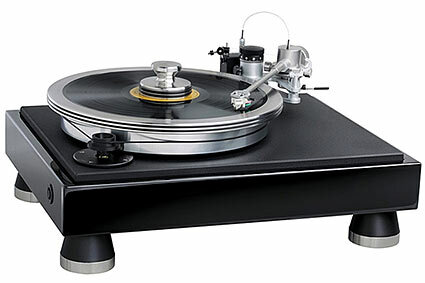 Spatially, the soundstage of the VPI Industries Classic 3 turntable was alive and exciting. It took the music to the furthest reaches of my rooms boundaries left to right (or right to left if you prefer) providing proper depth as well. This turntable/tonearm/cartridge combination exhibited clarity with regard to distinguishing musicians in the band, one from the other with startling realism. Willy Nelson's performing "Stardust" on his Stardust [Columbia 35305] album, is a must listen with the Classic 3. Here vocals took on a pleasant three dimensional quality closely resembling an actual person singing inside my room. Shocking good is how I would describe it. "Georgia on my Mind" from the same album nicely placed that powerfully voice front and center adding greatly to correct soundscape imaging. Add that to the band and a harmonica playing in the background and you can experience a nice holographic image from this recording. Read the complete review here. The talent is out there, but CEOs don't always know where to find it. One organization wants to do something about that.